Woodstock 50 was officially announced. 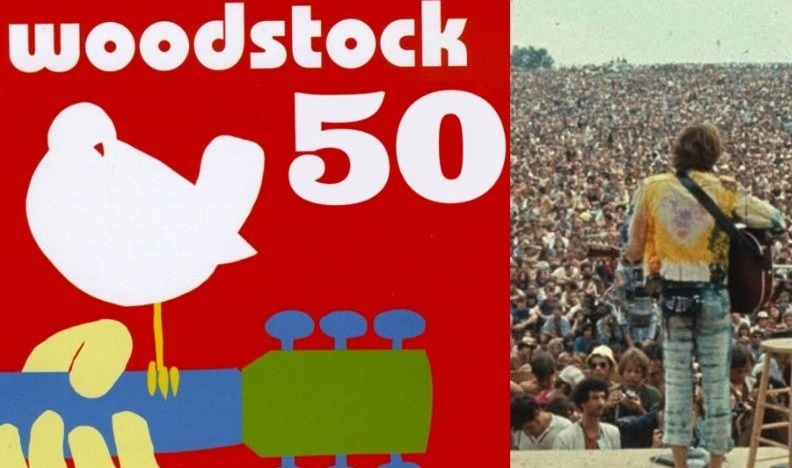 The festival that completes 50 years on 2019 and that’s why the name was chosen for the new edition of the Woodstock festival by Michael Lang, one of the organizers of the first version in 1969. Woodstock will take place on Aug. 16-18 in Watkins Glen, New York, USA. The location is about 120 miles away from Bethel Woods, where the first Woodstock happened fifty years ago. It is worth remembering that a celebration will happen right on the original site at another festival presented by the gigantic Live Nation in partnership with the Bethel Woods Center for the Arts, which takes advantage of the place to promote the art of the most diverse forms. Coincidentally or not, this “unofficial” festival has already announced that it will happen on the very days of Woodstock 2019, between 16 and 18 August. So, there will be two huge festivals rolling at the same time in two cities that are just over 100 miles away. On the official website of Woodstock there is information that news about artists and tickets will be released soon. The first edition of the festival took place almost at the same time as the 50th anniversary celebration will take place: between 15 and 18 August 1969. In that first year legendary names played like Jimi Hendrix, The Who, Santana, Creedence Clearwater Revival, Grateful Dead and more. With an absurd crowd of 400,000 people, Woodstock has become the most famous festival on the planet and a true symbol of the 70’s.